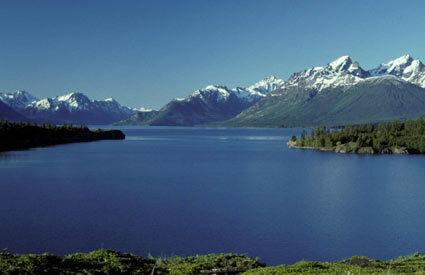 Chilko Lake is a 180 km² lake in west-central British Columbia, at the head of the Chilko River on the Chilcotin Plateau. The lake is about 65 km long, with a southwest arm 10 km long. It is one of the largest lakes by volume in the province because of its great depth, and the largest above 1,000 m.
Chilko Lake Fishing Guides and Chilko Lake Fishing Charters are both outstanding ways to enjoy the fantastic local fishing of Chilko Lake.